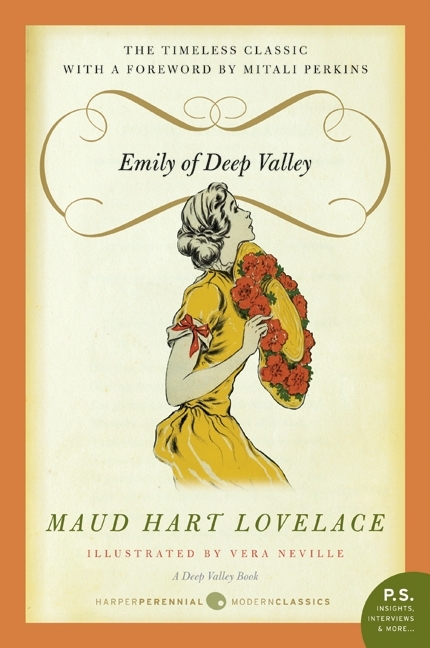 Marguerite Marsh (Emily Webster in Emily of Deep Valley by Maud Hart Lovelace), ca. 1913 (photo from Maud Hart Lovelace’s Deep Valley). Firing on the First World War’s Western Front ended on Nov. 11, 1918 at the eleventh hour on the 11th day of the 11th month. As the world commemorates the centennial, there are hundreds of stories of men and women who served. This is the story of Marguerite Marsh, a Mankato woman who answered the call when the United States branch of the YMCA took a bold step and opened its service to females for the first time in July 1917. She was born in Mankato on Independence Day in 1890. Her mother died when she was only eleven years old and her father left her in the care of her elderly grandparents, John Q. and Sarah (Hanna) Marsh (early pioneer settlers). Sarah Marsh died two years later leaving Marguerite alone to care for her aging grandfather. Marsh graduated from Mankato High School in 1909, was an active member of the First Presbyterian Church working with the youth. After the death of her grandfather in 1915, she enrolled at the University of Wisconsin in Madison and studied home economics. When war was declared in 1917, the YMCA immediately volunteered its support at home and abroad. They organized canteens at the front lines in France, giving soldiers a place where they could get away from the harsh realities of the war. These canteens were huts or tents set up to provide coffee, writing materials, books, gramophone and records or moving picture shows several times a week for the soldiers. Nearly 1500 entertainers met with the troops in their off hours. Some Americans thought that women would not hold up to the physical and mental strain of war work. However, many women stepped up to the challenge, including Marguerite Marsh. She enlisted with the 82nd Division in November 1917 and served with 13,00 YMCA workers in France. Marguerite was assigned to a YMCA café at Tours, France, and was later given the rank of Secretary in charge of a canteen at Gondrecourt, with the First Army school. Back in Mankato, the First Presbyterian Church published a newsletter, Our Church Life. In addition to church news, it contained letters and news about servicemen and women from the church. This newsletter was gratefully anticipated by the soldiers and kept those at home informed of their fellow church members. Below are excerpts from news and letters written by Marguerite and published in Our Church Life. April 16, 1918, she sent a letter from “Somewhere in France.” The weather cold and damp and she was rooming with a friend at the YWCA Hostess House. Marsh wrote that she was eager for “real canteen work” at one of the barracks. May 17, 1918, she wrote about being “muchly excited” over the granting of their repeated request to be transferred nearer the front and their preparations for the approaching transfer—to what point she did not know. Marsh wrote in July 1918 about the few weeks she had spent starting a canteen 28 miles from the front: “Starting a canteen means bushels of work…We furnish the boys stationery, envelopes, pens and ink—free. The writing tables are in use most of the day. A bunch of boys who came in recently from the South and can not read and write so we are arranging classes for them. Last Sunday afternoon I watched an air battle at some distance. We never know whether it is a practice fight or a real one.” Several weeks later she writes about the abandonment of the canteen and her transfer to a large canteen at the divisional headquarters. Writing on August 23, 1918: “Back again and working harder than ever in a hut which serves thousands of men. I never saw so many hot, dusty boys in my life. They come in on trucks so white with dust that they bear no resemblance to human beings…There is a beautiful full moon and we are congratulating ourselves on our escape from the air raids. We have had bombs to the right of us and bombs to the left of us but so far have remained untouched. Three weeks later, November 11, 1918, armistice was signed. Demobilization took time and Marguerite returned to the states with the 82nd Division. They departed Bordeaux, France aboard the troop transport ship USS Sierra on May 9th and arrived in New York on May 21, 1919. During WWI, the YMCA had assumed military responsibilities on a scale that had never been attempted by a non-profit, community-based organization in the history of our nation and would never be matched again. Marguerite enrolled in a hospital training course at the Presbyterian Hospital in connection with Columbia University in New York. She married Myron Wilcox in New York in May 1923. They moved to Cedar Falls, Iowa, where Marguerite gave birth to a son, John Marsh Wilcox, on January 31, 1925. Just two weeks later, Marguerite died in Iowa City, at the age of 35. She is buried near her grandparents in Glenwood Cemetery in Mankato. One of my favorite chapters in Emily of Deep Valley is “Decoration Day”. This weekend we’ll celebrate Memorial Day. The story of Emily and Decoration Day is a great example of how we should remember our soldiers and those who have gone before us. Maud based the character of Emily Webster on her friend, Marguerite Marsh and Grandpa Webster on Marguerite’s grandfather, John Marsh. She appears to have based Grandpa Webster’s experiences on those of Captain Clark Keysor (Cap’ Klein), as John Marsh was not a Civil War veteran. General James H. Baker, a veteran of the Dakota Conflict and the Civil War, was the basis for the character of Judge Hodges. In 1952 Maud wrote, “Old Cap’ Keysor and General Baker used to visit the various grades on Decoration Day to tell us about the Civil War and the Sioux uprising.” These stories and the Decoration Day celebrations left a deep impression on Maud.